INDONESIA. Jakarta. 2007. 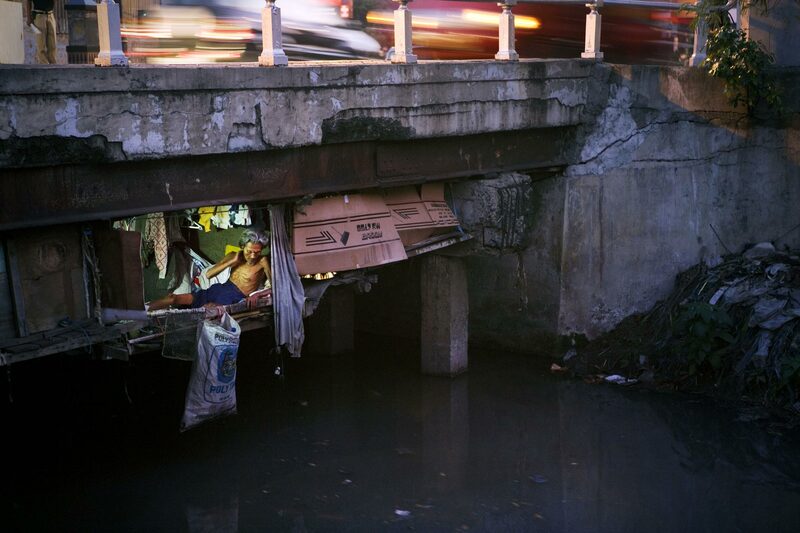 Under a traffic bridge in north central Jakarta, a man looks out of his tiny home unto the sewage/storm drain below. This home was washed away in Jakarta's devastating February 2007 floods.